Our hearing centre in Hanley, Stoke-on-Trent is one of our three main hearing centres located throughout Staffordshire. We have over 35 years of experience and are a family run business. 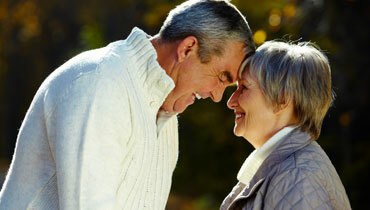 Our hearing centres offer a full range of hearing aids from behind the ear to in the canal. We have our hearing aid audiologist on site who will be more than happy to help with your enquiries and will also be able to offer you a free hearing test as well as free, impartial advice. Our Stoke-on-Trent hearing centre in Hanley offers a full range of services to all of our customers. We offer an extensive range of hearing aids from all of the major manufacturers unlike our competitors who are usually affiliated with one or two brands. Our Stoke-on-Trent hearing centre offers a free examination where your ears will be thoroughly examined and an audiometric test of your hearing will be carried out. Our consultants will then advise you the best course of action and, if necessary, find the perfect hearing aid for you. We consider our Stoke-on-Trent hearing to have some of the best prices in Staffordshire. We often up to 50% less than our national competitors. Free aftercare and a full programme of check-ups to help you adjust and manage any problems you may have. All of our hearing aids come with full manufacturers warranty and we also offer a 30 day money back guarantee if you are not satisfied. Additionally, our Stoke-on-Trent hearing centre has a repair service for exisiting hearing aids. If you have any questions or just want a chat with one of our friendly consultants please don’t hesitate to get in touch or call in to our Stoke-on-Trent hearing centre.